Can you believe we're over a week into 2016 already?! I have a feeling January's going to fly by, it's getting busy already. The exciting news is that I've got quite a lot of videography work on the go/coming up soon, I just hope the rest of the year continues in the same vein! As those of you who follow me on instagram or twitter might have noticed, I popped down to Bristol for the day on Friday to do some work with Turtle Bay, a chain of Caribbean restaurants. If you're UK based, or just visiting for that matter, definitely check out your nearest one - they do the most amazing food and cocktails and pride themselves on friendly, attentive service. Anyway, the video I'm working on is for internal use within the company, and I'm thrilled to be working with such an exciting brand. I've got a lot of editing to do this week now! This is normally about the time of year that I start getting excited for summer, and this year is no exception, even if the forecasts are saying the coldest weather is yet to come for us here in the UK (boooo). 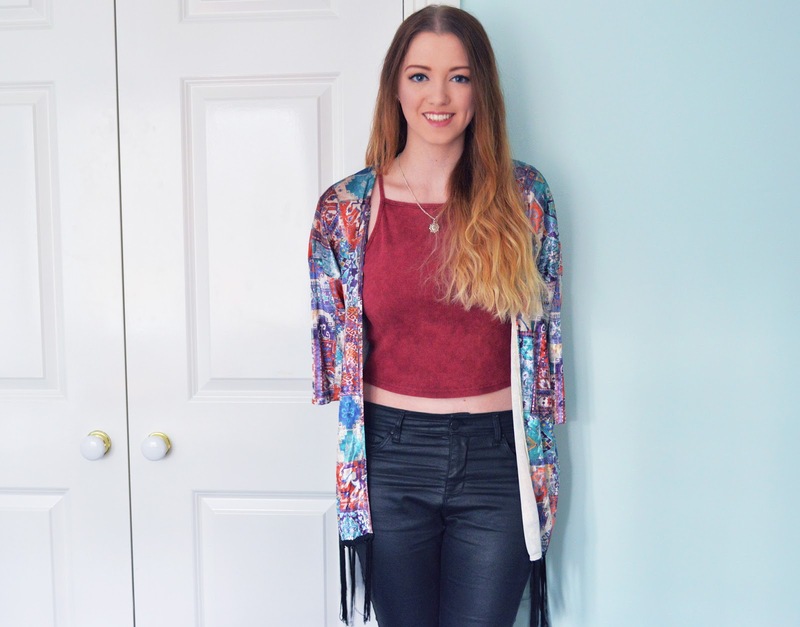 I can't wait for the spring/summer collections to emerge in full, perhaps that was why I subconsciously decided to channel some festival vibes yesterday with this Pull and Bear kimono. During my trip to Bristol on Friday, I managed to have a bit of a snoop around the shops after I'd finished working. It was then that I came across my first Pull and Bear store! I've eyed up their clothes online before, but I had no idea that they had shops in the UK - am I massively behind the times here? They had an amazing sale on, and I could have bought all sorts of things, but in the end I decided to just go for this kimono. What can I say, I'm a sucker for a colourful ethnic print! It has a gorgeous velvety texture too, which I think is what sealed the deal. I'll probably keep working slightly more summery items like this into my outfits now to make myself feel like warmer weather's approaching, even if it's actually a long way off! I went in the Pull and Bear in Bristol of Christmas, I didn't know they were in the UK yet either! I also need to go to a Turtle Bay ASAP, it's been on my mental list for too long!! 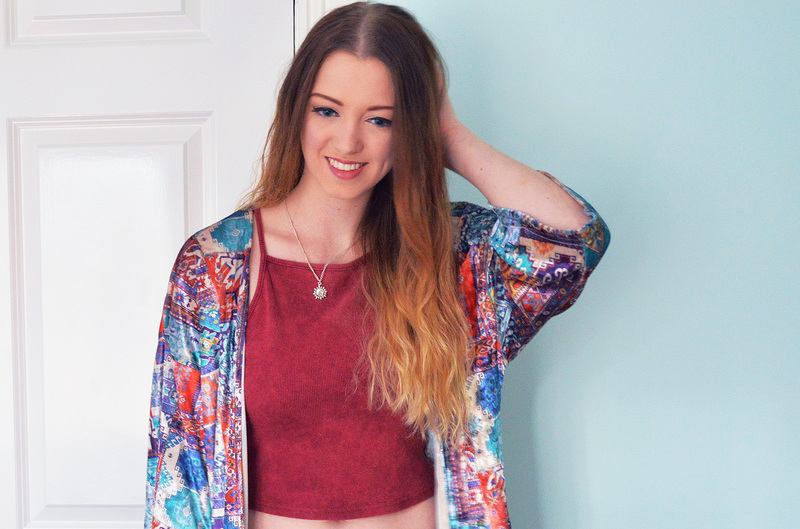 This kimono is so pretty and makes me think of Summer! Yay for Turtle Bay work, I love it there. Glad you enjoyed the shops, Pull & Bear is great - the customer service is always awful but the stylish threads make up for it! Looking absolutely gorgeous, Helen, and it's wonderful that you've got a busy month this early on in the year! I'm pretty darn excited for the rest of the year, too. 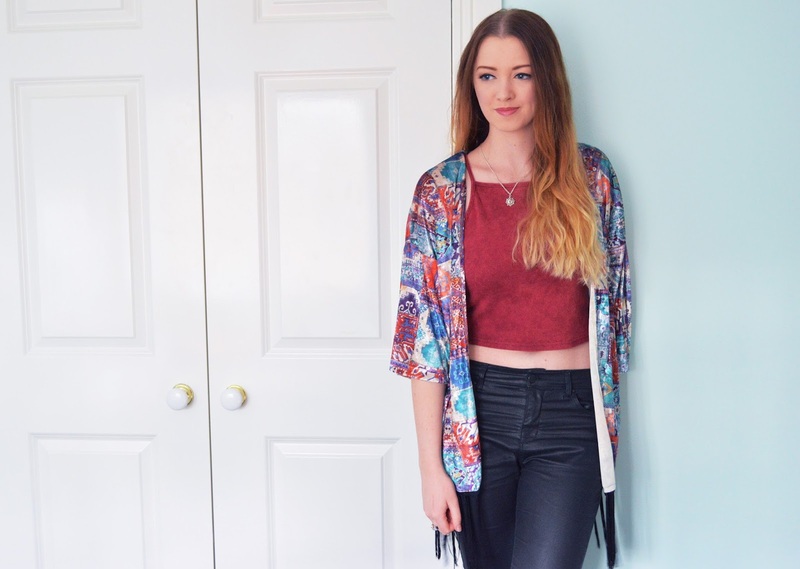 I love the colorful design of the kimono...such a cute look! U look lovely in thise colours! Surely checking the restaurant the next time I am in the uk! Thanks Kate :) I knowwww I need some warm sunshine! if you pick up dresses,jadegown.com.au jumper dress australia reviews gives you amazing choices.